Melba Christina Youngblood was born in Texas in 1923. Her only son, Michael Marcades, has now written a book about his mother, who was posthumously made famous by film director Oliver Stone in his 1991 film JFK. If one recalls, that film opens with Dwight Eisenhower making his epochal Farewell Address warning of the rise of the Military Industrial Complex. The film proper then opens with a long credit sequence. Near the end of the credits, the film crosscuts between Kennedy arriving in Dallas and a woman being thrown out of a car on a lonely highway. We then see her in a hospital. She seems hysterical with fear warning that the men who threw her out of the car are going to kill Kennedy in Dallas. The doctor mumbles that she seems high as a kite on something, therefore implying that her warning will be ignored. Which it was—until after the assassination. 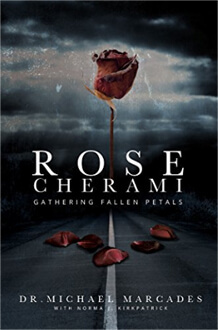 The woman was named Rose Cherami in Stone’s film. This was accurate since this is the final alias that she used in her life. And that was the name through which New Orleans DA Jim Garrison discovered her. Her Cassandra-like warning had been ignored by the Dallas Police, even though they were fully aware of it. It had then laid dormant for the FBI and the Warren Commission. In the seventies, it had been pursued by the House Select Committee on Assassinations. In fact, one of their most famous reports, written by researcher Patricia Orr, incorporated some of Garrison’s information with some new work that committee had done. In the annotated screen play of JFK entitled The Book of the Film, it was revealed that the script relied on Orr’s report for their information. It was not until the Assassination Records Review Board declassified the HSCA files that we finally got many of the records that the committee used in order to compose that report. In a handy appendix to Rose Cherami: Gathering Fallen Petals, the authors supply several of these helpful documents. But the book goes much further than that. Because Marcades was so interested in finding out more about a mother he barely knew, but had read about in several sources, he decided to spend many years doing research in order to write the first full scale biography of Melba Youngblood, who only lived to be a bit over forty years old. For a multiplicity of reasons, this was not an easy task. First, from a forensic viewpoint, many of the important personages had passed from this world. Also, as this reviewer has mentioned previously, many of the files of the late Jim Garrison have been lost, stolen or incinerated. Third, since Youngblood led such an offbeat, itinerant, peripatetic life, there was not a lot of paper data or tangible leads to follow. But Marcades stuck it out. And with the help of two others, including journalist Norma Kirkpatrick, he has put it together in book form. Melba Youngblood grew up on a farm in a small town called Fairfield in east Texas. Her father was named Tom Youngblood; her mother was Minnie Bell Stroud. She was the eldest of three sisters, the other two being named Mozelle and Grace. Melba’s nickname growing up was Crit. The father was a stern disciplinarian and the girls were expected to do farm chores in addition to attending school and going to church on Sunday. From the rather young age of fourteen, Crit was unsatisfied with the simple, dirt farming rural life. At that time, she actually ran away after hitching a ride with the milkman. Her parents managed to find her in a nearby small town. The street waif had been taken in by a kindly old couple. A couple of years later, the family moved to Aldine, which was near Houston. There, Tom managed a tenant farm for the owner. They lived in a home that was much larger and modern. The father worked a second job on construction. But even with the improved circumstances, Melba was unsatisfied. She ran away for the second time at age 16. This time, she ended up in Houston. She found work as a waitress at first. But it is at this point that she fell into a life of hard partying in both Houston and Galveston. And with the wrong people. She met a man named Al who gave her a job in his restaurant. It was in this time period, 1941-42, that she fell into a serious heroin habit. But, even worse, she met a bartender named Johnny who now began to hire her to do illegal errands for him. This included delivering drugs, liquor and cigarettes to soldiers on military bases. Sick of this kind of life, she decided to split by stealing his car. She did not think he would call the police because of his illicit black market dealing. But he did. And what made it all the worse was that she did not contact her parents to help her once she got apprehended. She was extradited to Shreveport, Louisiana since that is where Johnny actually lived. Since she had no independent legal counsel, she did not know how to deal with the court. For example, she could have made a deal with the prosecutor for immunity and a pardon by turning state’s witness against Johnny. She did not. And she did not contact her parents until after she was incarcerated. Since she was in northern Louisiana, she was sent to infamous Angola. There, because she was shapely and attractive she found out about being on the “cordiality detail”. This meant going up to the big house on the hill and attending parties with guests of the state. She was released after two years in 1944. Once she was out, she visited her parents. She got a job as a switchboard operator, and was married for the first time. She stayed clean and led a normal life for two years. But she left her husband and went, first to Dallas, and then to New Orleans. She became a stripper at a club called the Blue Angel. It was here where she met a man named Edward Joseph Marcades. Eddie ended up being her second husband and the father of Michael, who was born in 1953. But again, this marriage did not last very long. Melba left her husband and took Michael to New Orleans. After not hearing from her for awhile, her parents went looking for her. She was living in such dilapidated standards that they decided to take Michael home with them. A point that his mother did not strongly dispute. It was around this time, the late fifties, that Melba began to work as a stripper for Jack Ruby at a place called the Pink Door. As Vincent Bugliosi states in his book Reclaiming History, there is no official record of Ruby ever owning a club by this name. He ignores the possibility that Ruby could either have been a silent partner, or owned a minority share of it. Bugliosi also does not inform his readers of Ruby’s activities at this same time, the late fifties. Maybe it’s because they provide a reason for a disguised ownership. And they also match the kinds of things that Melba Christine was described as doing in this phase of her life. Ruby’s activities include the smuggling of narcotics across state lines, a call girl ring, and the transfer of pornographic films. Ruby was very serious about this and he did research on how it could be done. He went into business with a man named Jim Breen. In fact, some of the call girls actually talked to the FBI to inform them of this activity. (See Warren Commission exhibits 1761-62 in Volume 23) Ruby’s activities in this regard later evolved to include gun running. There are several FBI reports from different witnesses—for example, Blaney Mack Johnson and Ed Browder—that describe this in Volume 26 of the Commission exhibits. (See especially exhibits 3055-3066) These exhibits also include reports of businesses—hotels and bars—that Ruby had an interest in but for which there is no record of him formally owning, at least not in the Warren Commission volumes. It was around this time period—late fifties, early sixties—that Melba Christine began to use the alias of Rose Cherami. And it was under this name, and as part of drug, guns and prostitution runs from Dallas to Miami that Cherami became involved in the incident that Stone depicted in his film, that Orr wrote a report on, and that numerous writers—including this reviewer—have exhaustively described. I won’t detail the incident at any length, since most readers are already familiar with it. I will just summarize it. At a sleazy bar called the Silver Slipper Lounge, Cherami’s two Latin cohorts began a vociferous argument with her. She was thrown out by the bartender, Mac Manual, and began hitchhiking on route 190. She was hit by a car and the driver transported her to a hospital. On two occasions, with two different witnesses, she said the two men with her had talked about killing Kennedy. Both of these declarations occurred prior to November 22nd. But no one took it seriously; they chalked it up to the ravings of a junkie in need of a fix. After the assassination, it was a different story. Louisiana State Trooper Francis Fruge, who had accompanied her to a state hospital, got permission from his superiors to turn her over to the Dallas Police. But the police did not want to hear from her. The doctor who talked to her in the hospital, while on a hunting trip revealed to a friend what she said. And it was through this friend that Jim Garrison found out about her case. But by then she had passed away. The authors are firmly in the camp that Cherami was murdered. They believe that she was shot on one of these drug runs in 1965. That the killer then ran her over to try and disguise her death as a matter of hit and run. That the man who eventually found her body on the road, Jerry Don Moore, did not actually strike her. (The investigating police officer did not think he did either.) Further, they show that there was apparently something wrong with the hospital report on her death, i.e., the report says she was DOA, yet this is provably false. She was worked on in the ER room and then transferred to a private room and survived for about eight hours in critical condition. Michael Marcades put together the book by interviewing several surviving family members. He also found a grocery bag full of letters that Rose wrote. And he has also read much of the source material on her case, though I was surprised he did not include Todd Elliot’s prior brief book on the subject, A Rose by Many other Names (actually a pamphlet). Elliot discovered two other witnesses who heard his mother mention the Kennedy assassination prior to it happening. This was at Moosa Hospital in Eunice prior to Fruge arriving. But Elliot’s work was not anywhere near a full-scale biography as this book is. I would be remiss if I did not make a formal criticism of the book, as I did with Fernando Faura’s volume, The Polka Dot File. Marcades and Kirkpatrick decided to use a lot of reconstructed dialogue in the scenes they drew. Some of this is acceptable since they probably got it from family members who interacted with Rose. But some of it is hard to fathom since it’s done without any surviving witnesses, at least that I know of. Also, sometimes this extends into a stream of consciousness, where we actually read the thoughts of a character. If I had been editing the book I would have advised the authors to be less liberal with this aspect of narrative license. The photos in the volume are extraordinary. Almost all of them have never been seen before. And the document annex, mostly made up from the ARRB declassification process is valuable. Michael Marcades wanted to find his mother, whom he had met only three times before she died. The last meeting was at a picnic at a lake. It was a time-consuming and courageous undertaking. I should also add the word honesty to that voyage. For he gives us a picture of this unfortunate woman warts and all.